When Hurricane Irma first made landfall in the Florida Keys on September 10, 2017, it brought destructive 70 mph winds and storm surges and left widespread power outages and downed trees and debris on Florida streets. The city of Fort Lauderdale, located on the east coast of Florida, is no stranger to major weather events, but the city’s mature and robust GIS provided vital information to public safety, public works, and other departments so city staff could quickly but safely respond to residents’ needs during the event and support recovery efforts after the storm had passed. 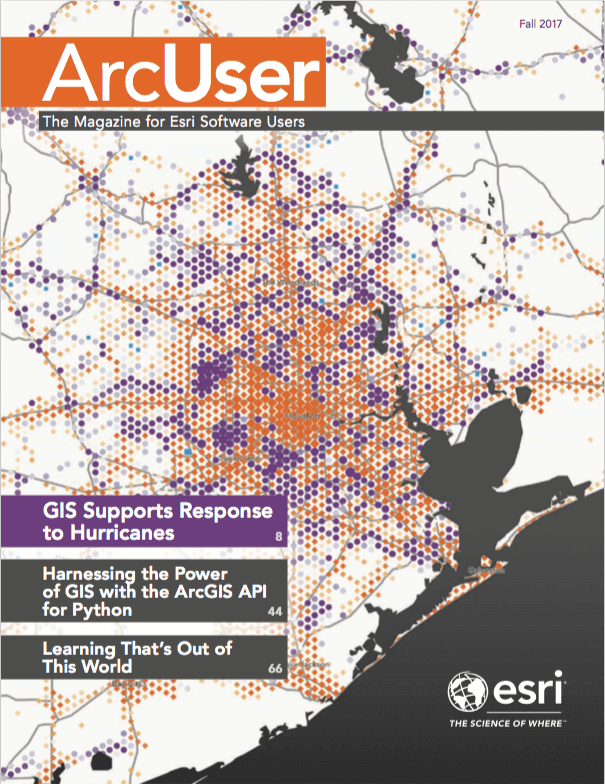 The GIS Division used ArcGIS Online, ArcGIS Online application templates, Esri Story Maps apps, and the regular edition of Web AppBuilder for ArcGIS to compile and analyze data and disseminate information on the status of the hurricane, city infrastructure, and response efforts. Customized web apps embedded in an Esri Story Maps app called the Emergency Operations Portal gave staff from various city departments and work units access to information relevant to their responsibilities. A simple symbolization scheme let them monitor the status of hurricane-related issues: open issues were red, in-progress issues were yellow, and closed issues were green. In addition to its own GIS data and existing apps, Fort Lauderdale had access to relatively current high-resolution aerials as well as shelter and evacuation zone information from Broward County. Prior to Irma making landfall and especially after the storm passed, the GIS Division relied on LauderServ (also known as QAlert), its 311-like system, to crowdsource information. City residents and staff use the system to report nonemergency issues via its web page, mobile app, or by telephone. Requests from LauderServ are pulled into ArcGIS in real time and served out in a web app. City work units can filter requests to identify ones that fall in their area of responsibility. Decision-makers in the EOC were granted real-time access to LauderServ requests via an ArcGIS Online viewer app. Fire-Rescue, Police, Public Works, and other department staff needed request information to provide aid to residents as quickly as possible and effectively coordinate field activities. Fort Lauderdale relied on LauderServ (also known as QAlert), its 311-like system, to crowdsource information. 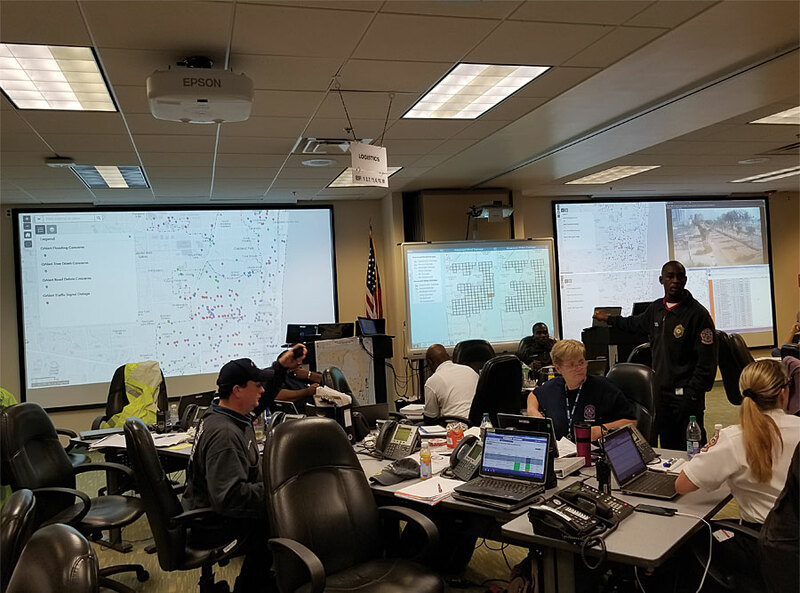 During the second day of the Irma response, a member of the Fire-Rescue command staff observed that an interactive mapping interface would allow for querying and filtering data and provide a better view of 911 calls than the interface and access method available to them at the time. As a result, a web app was developed using Web AppBuilder for ArcGIS that map enabled the 911 dispatch system. Using internal 911 calls for service data, the location and priority calls for service were mapped, color-coded, and annotated with a priority code. EOC occupants and utility managers were kept abreast of the status and capacity of sewer pump stations through the use of this viewer app available from the Emergency Operations Portal. During the early stages of Irma, data on wind speed was critical to ensuring the safety of city staff involved in response efforts. The city used map services that provided Esri live feeds of National Oceanic and Atmospheric Administration (NOAA) data on wind speed and direction and NOAA storm reports. When conditions permitted staff to respond, sustained wind speeds and recorded gust data helped determine the most appropriate type of vehicle to use. GIS also made sensor data from the Utility Operations supervisory control and data acquisition (SCADA) system actionable and helped utility staff manage the pumps and pressure of the city’s wastewater system during the storm. Heavy rain and floodwater from a major storm can drain through surface level manholes and into the wastewater system. If this happens in areas where pump stations are malfunctioning, it can result in sewage backups that reach the surface. Utility staff members used a web-based editor application created by the GIS division to enter SCADA information in the GIS. As the storm progressed, EOC occupants and utility managers monitored the status and capacity of the sewer pump stations through the use of a viewer app. They watched as the interactive map, initially mostly green, became dominated with red. With constantly updated information on which pump stations were experiencing power failure and approaching capacity limits, decision-makers could quickly respond to this situation after the storm. A powerful storm such as Irma leaves hazards that must be dealt with promptly. 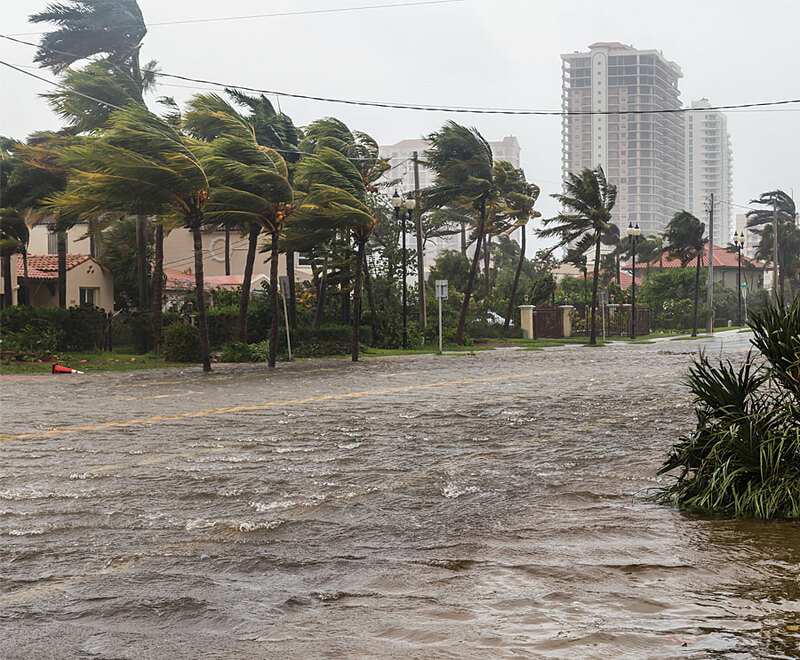 If Broward County activates its EOC as the result of a severe weather event, each municipality must conduct a Rapid Impact Assessment (RIA) once it is safe to do so. To systematically perform the RIA, Broward County is divided into grids, each one a quarter mile in size. Municipalities perform the RIA as a “windshield survey,” or quick drive-by inspection, to assess any damage that has been sustained and provide a numerical rating for the wind and flood damage sustained in each grid in their jurisdiction. The rating scale ranges from 0 (no damage) to 4 (catastrophic damage). The field information gathered by the RIA helps managers better understand needs so they can make better-informed decisions when deploying resources. In Fort Lauderdale, the Fire-Rescue and building inspection staffs team up to conduct this assessment. 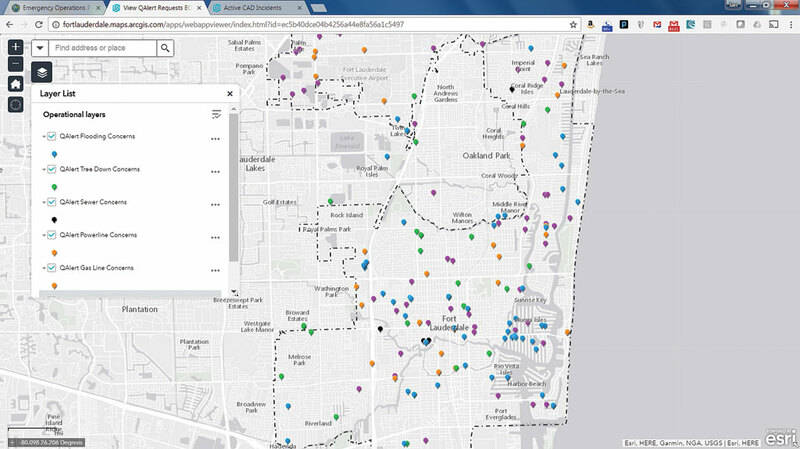 The Fort Lauderdale RIA Viewer, a web mapping app, was used by the EOC to track damages throughout the city as they were reported. The GIS Division has an ongoing role supporting the city’s disaster preparedness plan. Each year Fort Lauderdale conducts at least one mock exercise. The GIS Division uses that event as an opportunity to learn more about EOC’s needs and educate staff about GIS capabilities. Poststorm activity starts at the crack of dawn with the Rapid Impact Assessment of the entire city. Decision-makers in the EOC were granted real-time access to the status of the assessments via this viewer application. With every disaster, the GIS Division learns more. During Hurricane Matthew in 2016, the GIS Division stood up apps based on ArcGIS templates during the event. Following Hurricane Irma, there have been requests to retain the Fire-Rescue and Police Calls for Service app that was created during Hurricane Irma. Although the SCADA network is currently separated from the city’s regular network, post-Irma there is a strong interest in modifying the network design to allow GIS to read directly from SCADA without human intervention in a way that does not make the utility networks vulnerable to security exploits. The GIS Division was so effective in helping the city deal with Hurricane Irma, in part, because it has been developing a solid portfolio of solutions over many years that have improved the city’s processes while building relationships with city departments. When Wint joined the city in 1999, he doubled the city’s GIS staff. The GIS coordinator since 2000, Wint has overseen the steady growth of GIS at Fort Lauderdale during that 17-year period. Not only can the GIS Division reach more users using web technology, but it can also reach them at a lower cost to the city because web-based solutions are centrally maintained. To multiply the impact of each solution, the GIS Division introduces new apps or enhanced services in a way that encourages city staff to see new uses for the technology. The division emails the announcement to every city staff member. 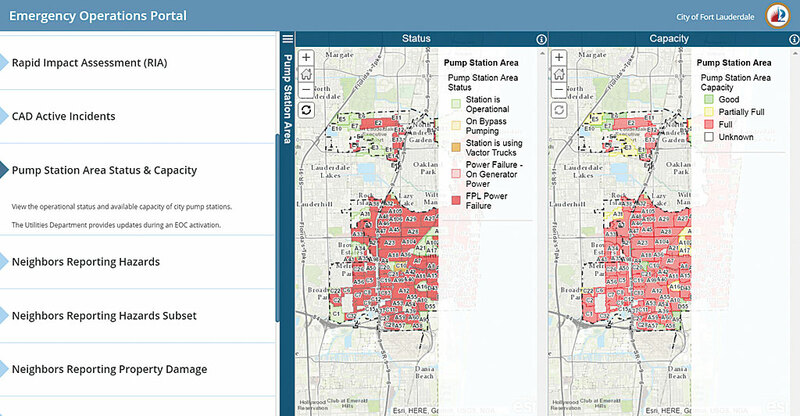 Because Fort Lauderdale GIS notifies all city departments of new apps it develops, city staff often find that apps built for one purpose can be used for another. LauderStreet, which provides information on scheduled road closures, was reworked to become the LauderWorks for tracking city-managed construction and repair projects, then became the Development Project Viewer, which shows land development projects in the city’s review system. Wint saw that happen when the LauderStreet app was released. LauderStreet provides location and other information on scheduled road closures. It morphed into LauderWorks, which lets city residents know about city-managed construction and repair projects. LauderStreet had yet another reincarnation when the Urban Design and Planning Department requested the GIS staff spin off an app called Development Project Viewer that shows land development projects in the city’s review system. These and other projects that the GIS Division undertakes support its overarching goal of making local government more efficient. It strives to empower the city with tools to access the most accurate, timely, and useful information—especially information that might not otherwise be easily accessed—through user-friendly graphic interfaces. These tools become even more valuable to the city when responding to events like Hurricane Irma. Several Fort Lauderdale staff members played critical roles during the response to Hurricane Irma. GIS analyst Lucia Hogan built most of the response apps. GIS analyst Rollin Maycumber assisted in the EOC. Former staff member Jon Stahl implemented the sewer pump station solution. A year ago, when the EOC was made the primary site for all on-premise GIS, the city’s IT system administration, network, and database teams—and particularly GIS applications developer Haiting Huang—created the IT infrastructure that made this possible. This foundation allowed the GIS Division to work effectively during the event.